I recently came across this portrait when I was looking through paintings of European monarchs. I just assumed it was a painting of a woman, but I subsequently found out that it was of Louis II, King of Hungary. 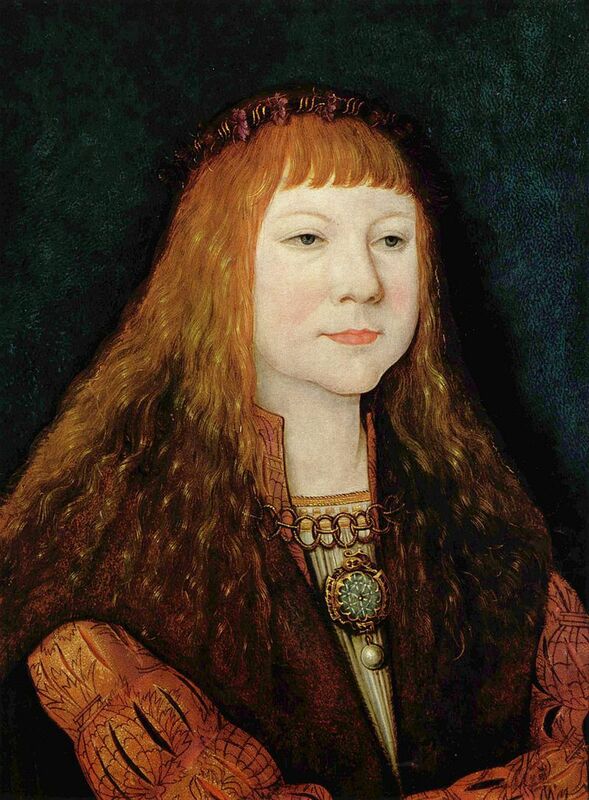 It was painted by Bernhard Strigel and was completed in 1515, a year before the young Louis ascended to the throne. I find it a little odd that a king, or at least potential king, would be portrayed in such a feminine way. Strigel also painted another painting of Louis around the same time, only this time he's with the family of the Emperor Maximilian I (after his father's death Louis was adopted by Maximilian.) This time he looks much as he does in the previous painting, only this time he's clutching a scrolled piece of paper. I wonder if there's a potential mystery in this. Incidentally, Louis died in battle at the age of 19. His marriage was childless so he left no immediate successor. There are suggestions that he fathered an illegitimate child though.